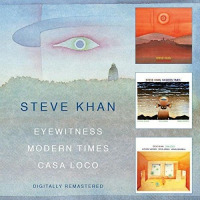 A consummate musician, Khan's credits include heavy work in the '70s and '80s with pop and jazz icons Donald Fagen, Michael Brecker, and Joe Zawinul yet it's leading his own ensembles and recordings where his art truly illuminates. 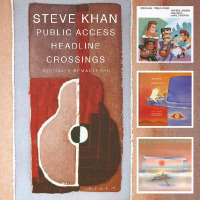 First and foremost, Khan has created a recognizable and singular style. It's not just impeccable chops, there's that tonal richness, fluent weaving of imaginative solos with chordal voicings and the way he phrases every note into a distinctive language. These attributes have not diminished and are demonstrated here with a top flight ensemble and special guests. Backlog's ten tracks consist of a diverse set of jazz covers, standards, and a sweet rendition of Stevie Wonder's "Go Home." Each piece is "Khan-ceptualized" within a Latin jazz framework proving that it is one thing to speak your own musical language but quite another to articulate another composer's work into that vernacular. The band executes impeccably starting with a spicy reading of Thelonious Monk's "Criss Cross" as the rhythmic core of bassist Rubén Rodríguez and drummer Mark Walker ignite Marc Quiñones and Bobby Allende's percussion march. Next comes saxophonist Greg Osby's "Concepticus in C" where elements of M-Base encounter a persuasive Cha-cha-cha rhythm. Memorable guest spots include a dazzling trumpet solo from Randy Brecker ("Latin Genetics"); sweeping vibes from Mike Mainieri ("Head Start") and the piercing tenor saxophone of Bob Mintzer ("Invisible") as well as gorgeous keyboards and orchestrations by Rob Mounsey on a number of tracks. Technical abilities notwithstanding, Khan's music flows with melodies and rhythms you can dance to, while also appreciating its exemplary musicianship whether jamming to bomba and plena rhythms or floating blissfully in composer Johnny Mandel's lovely ballad "Emily." One of the many highlights is Stevie Wonder's aforementioned "Go Home" where Khan's fuzz toned solo burns and even quotes Wonder's "Isn't She Lovely" as the music fades. With a touch of nostalgia pianist Andrew Hill's "Catta" concludes the matter. The classic was featured on recordings by vibraphonist Bobby Hutcherson and pianist Don Grolnick; luminaries who left indelible imprints on jazz. 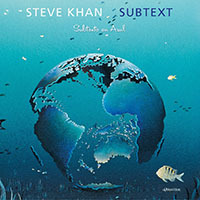 Khan reinvents the composition and gives it new life while infusing Eyewitness' eclecticism and rapturous voice work from Brazilian singer Tatiana Parra. It's been said that producing a recording is like giving birtha strenuous, lengthy and painful process. 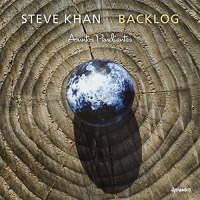 But sometimes that birth can result in a thing of beauty and vivacity as heard in Steve Khan's resplendent Backlog. Track Listing: Criss Cross; Concepticus In C; Latin Genetics; Our Town; Head Start; Rojo; Invisible; Emily; Go Home; Catta.